147-1, Kakuzo, Noguchi, Komaki, Aichi Prefecture Japan. Forging, heat treatment, machining of metals and business related there of. phase one of the new plant construction plan. shop and recreational facilities as phase two of the new plant construction plan. Started export sales to the United States and South-east Asian Countries. Received the Aichi Prefectural Governor’s award for remarkable plant rationalization. Constructed a forging shop (Shop No.1 of today) as phase three of the new plant construction. Drive sponsored by Aichi prefecture. for phase four of the new plant construction plan. Introduced a 1600tons forging press. 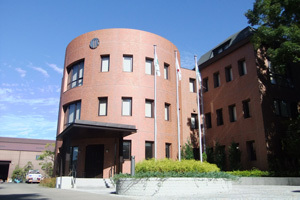 Approved by Nippon Kaiji Kentei Kyokai(NKKK).Opened a branch office in San Francisco, U.S. Started production of forgings for vitally important parts of the V2500 turbo-fan engine. Constructed Shop No.3 as part of phase five of the plan. Introduced a 800 tons oil hydraulic crank press. Introduced a 250 tons ring rolling mill. ntroduced a 1000tons oil hydraulic forging press. Introduced a 500 tons high speed forging press. Enlarged capacity by constructing Shop No.4 as part of phase six of the new plant construction plan. Introduced a 4000 ton oil hydraulic forging press. Registered ISO9002 certification. Introduced a 8000 ton oil hydraulic forging pess. Introduced an 1800 ton oil Hydraulic forging press. Purchased land of 19,800 m2 adjoining the north side of existing site. Transferred the cutting shop and inspection area to the purchased adjoining land. Constructed a dormitory in the adjoining land of the factory. The shop No.6 will be constructed and a 4000tons oil hydraulic forging press will be installed. copyright© 2016 Nakamura Iron Works Co.,Ltd. All rights reserved.